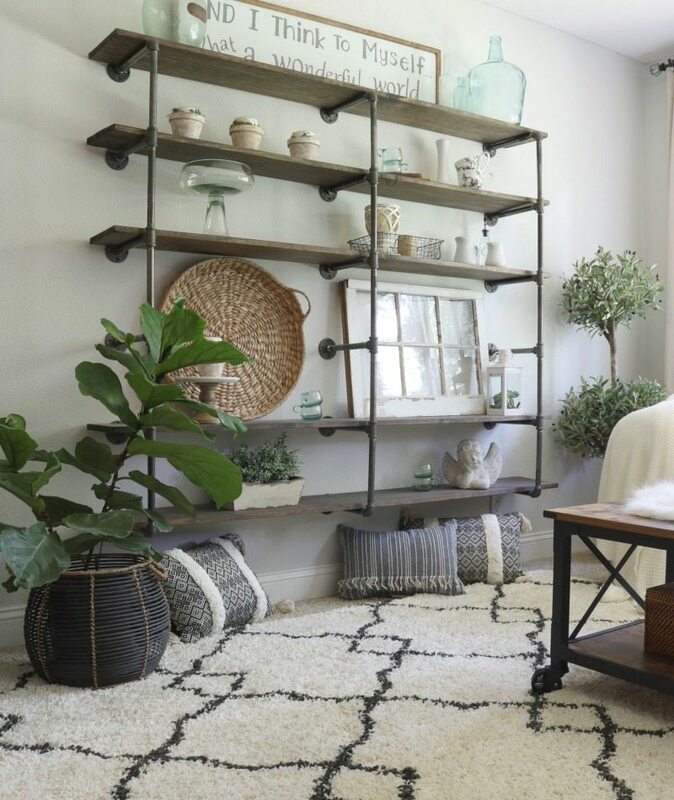 Are you ready to take your rooms from so-so to WOW? We are going to show you a step-by-step plan to create budget farmhouse room transformations in any space. Our focus in this post is on SMART decorating. We want to help you make the most of what you have and turn it into what you truly love, all without breaking the bank! 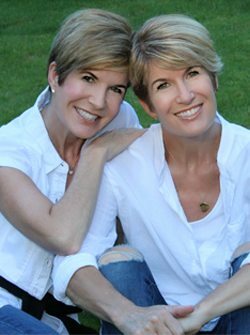 Jodie and I are very excited and honored be part of the BHG Live Better Influencer Network for 2018. We are compensated when sharing our favorite finds from Better Homes & Gardens at Walmart. As always our opinions are our own. Affiliate links for product sources are included for your shopping convenience. 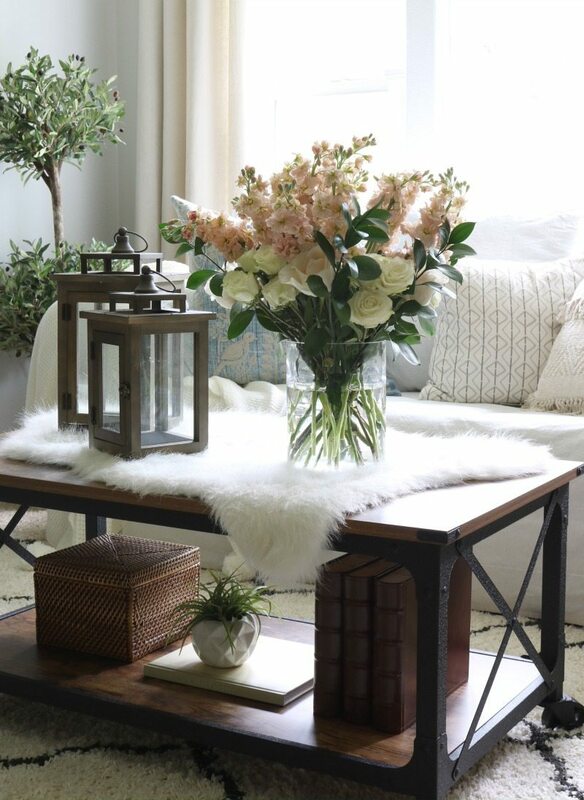 To enjoy more fabulous FRESH ideas to update your decor this spring just check out the BHG Live Better Network blog round-up by Better Homes & Gardens HERE. There’s nothing we love more than a good before and after…except when it’s a budget-friendly one! Woot! Woot! Even we must admit this is a stunning before and after. The before photo is fine. The space is pretty. It has redeeming qualities, but it doesn’t have a cohesive style, and it’s nothing special. Understandable. None of the furniture was chosen for this spot. It was made up of a hodge podge of leftover pieces from other houses. 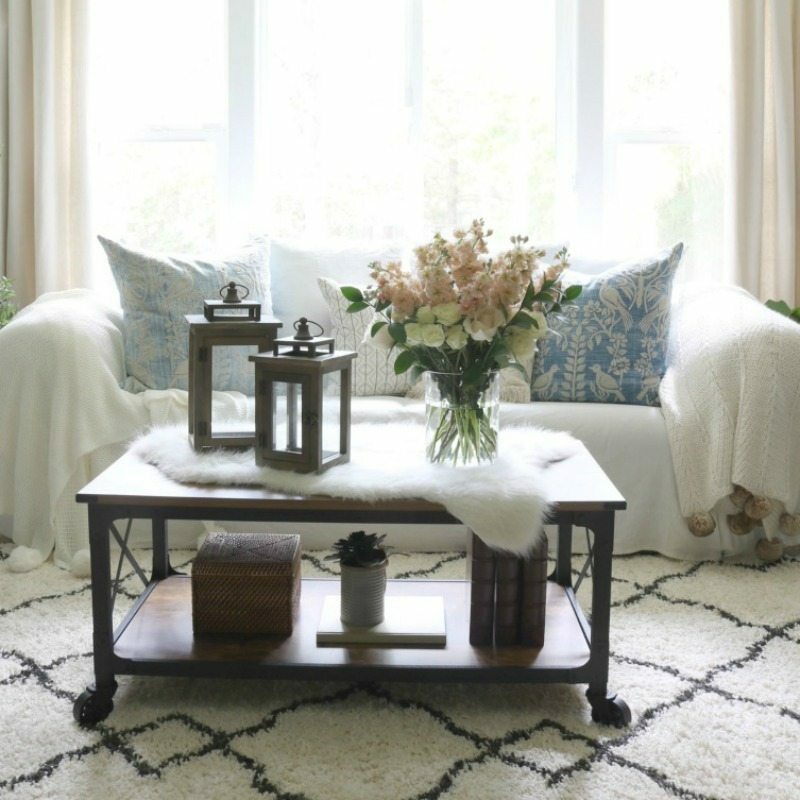 The after shows a beautiful cohesive cottage style. It’s light, bright and fresh. The details are dreamy. This is proof that budget room transformations are completely possible. In this blog post we are going to show you how we created this budget farmhouse room transformation and give you plenty of tips so you can do the same in any room of your house! How Does this Restyle Make me Feel? If it makes you happy it can’t be a bad thing 🙂 I’m sitting in my new living room–scratch that–my updated living room that FEELS new, and I’m singing lyrics to Sheryl Crow’s song and contemplating the question, “Why do I love to redecorate so much?” What about decorating makes me so happy? 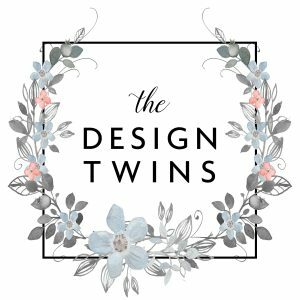 Here it is……because changing my decor makes me feel excited about the possibilities. Whenever I change out the color palette of a room, brighten up a space with new items and update something old and worn it’s like breathing new life into my surroundings. 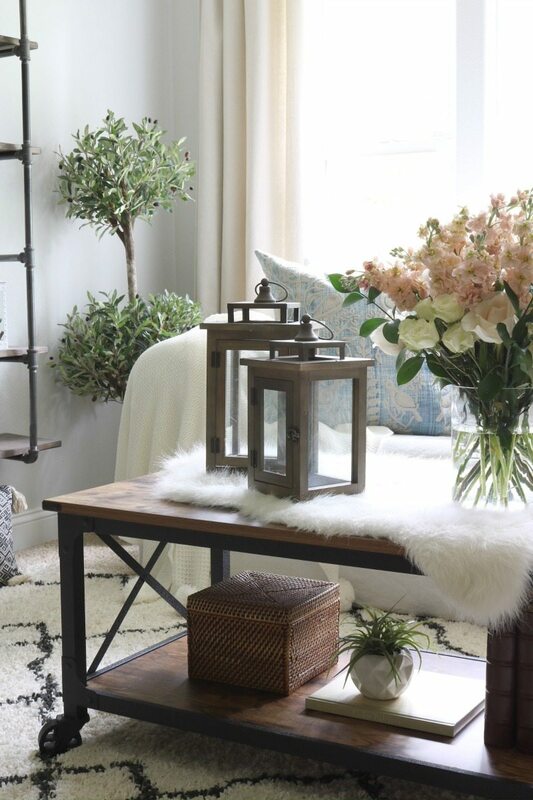 Every time I create a room refresh my energy is somehow renewed! I know it sounds dramatic, but in some ways I feel reborn! When I embrace change I feel a sense of hope in the future. Our surroundings affect how we feel and our homes function as a reflection of ourselves. As a result, updating and improving our decor effects so much more than just what you see on the surface. Just think about how a new haircut or a new outfit makes you feel. Well that’s exactly how decorating makes me feel. All the Happiness, None of the Guilt! Ok, ok….but let’s be real. This is all well and good but what about the practical side of things? 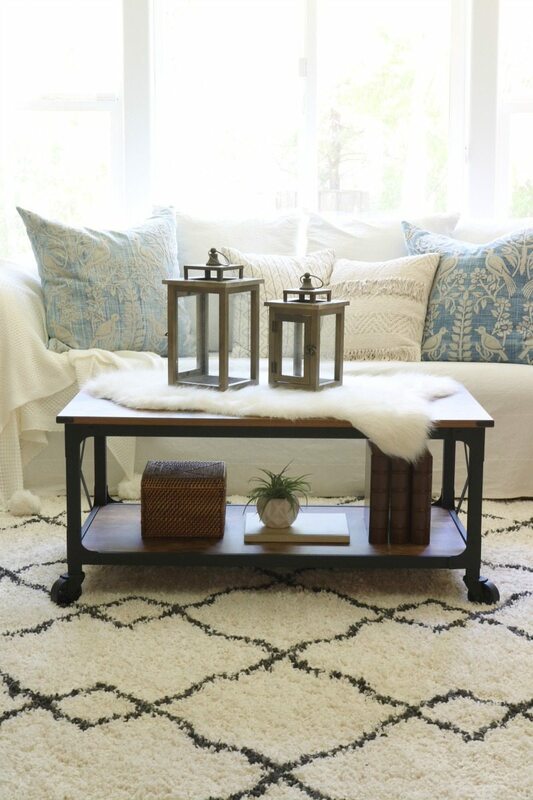 Furniture can be darn expensive and even swapping out pillows can really add up! This is why decorating on a budget is so essential. And this is why shopping at Walmart makes me so happy! Julie isn’t even on a tight budget, but she LOVES the value of Better Homes & Gardens products at Walmart. It’s just smart shopping. I was able to update my space for a fraction of the cost that I would have spent at any other retailer. Which means…..All the happiness and none of the guilt. I couldn’t be more excited about my new space or more excited to share with you exactly how I did it. 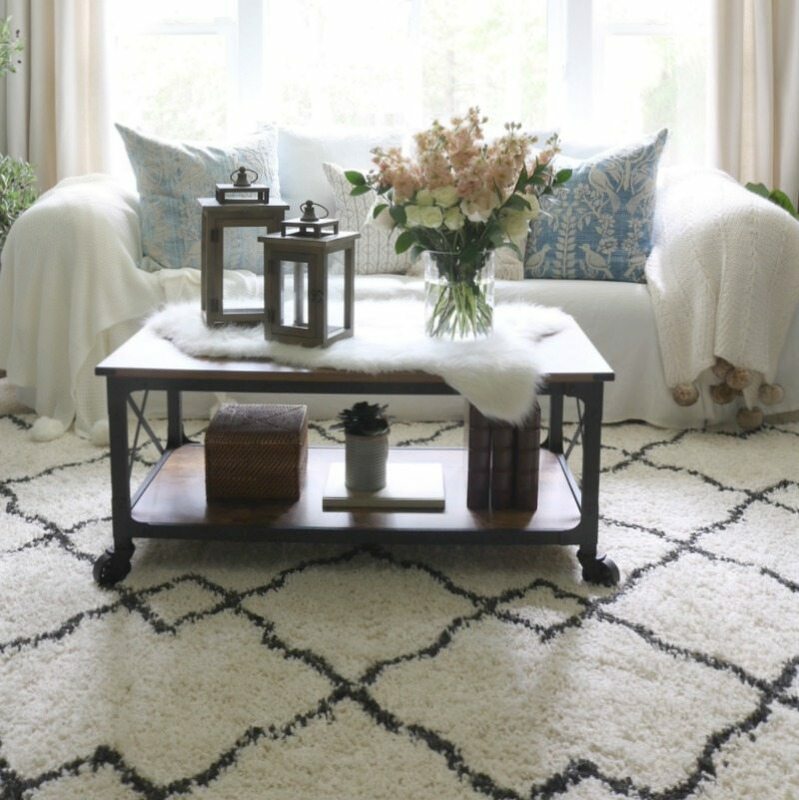 Shop this room-changing rug HERE! Following our own tips…..the first thing I did was analyze what I had, what I liked and wanted to keep, and what I didn’t like and wanted to change! 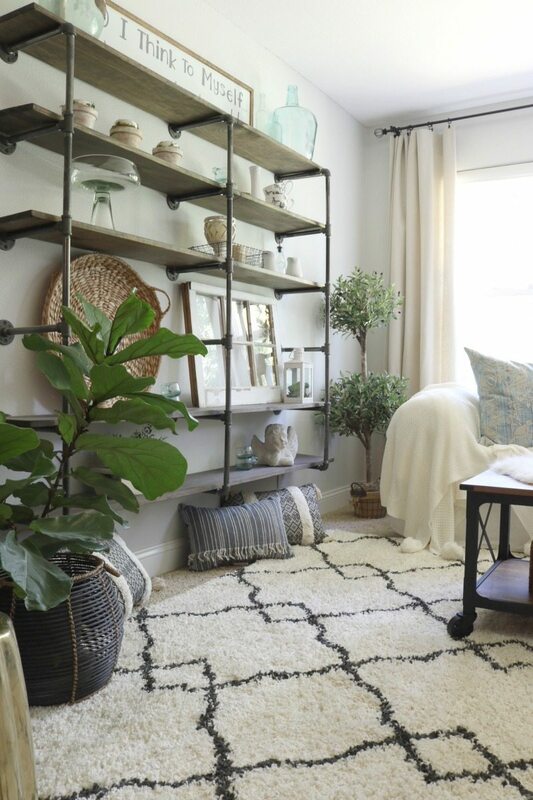 My favorite part of this room was definitely the Industrial Pipe Shelves that my husband and I had built together. (To build your own pipe shelves be sure to check out the blog post HERE.) 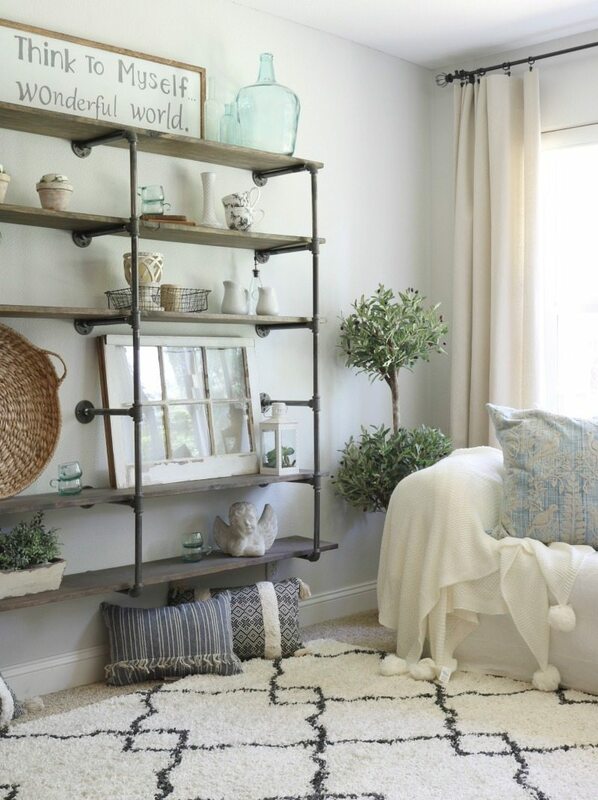 I wanted to follow the style of these shelves and create a space that had an overall “Industrial Farmhouse” feel. Problems I needed to solve: The space was dark, and the couch was old. 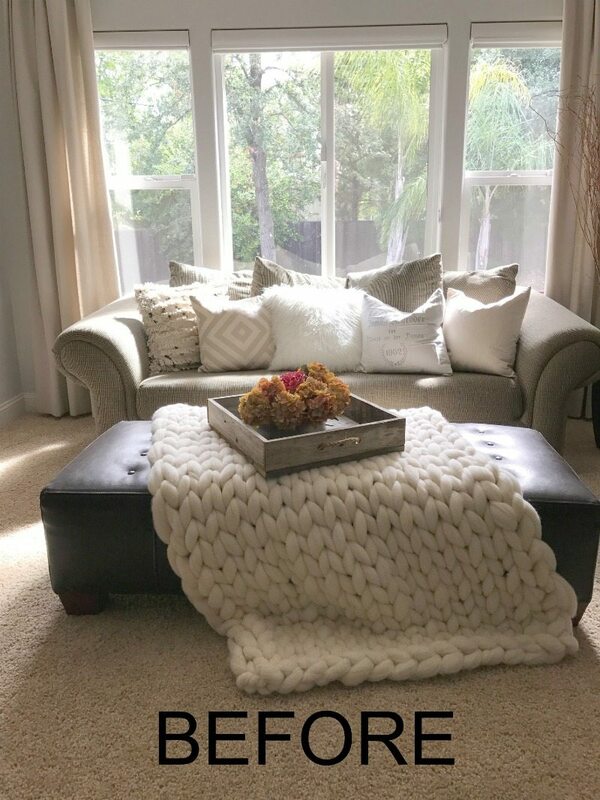 I didn’t have the budget to buy a new couch, so…..the perfect solution is a white linen farmhouse-style slipcover that covers the existing couch. It brightens up the space, and serves as a focal point for some new pillows! Once I solved the couch problem I quickly realized that the large leather ottoman had to go! It was, again, too dark & too heavy. It felt like it was literally weighing down the room. I knew I wanted a table that would add some industrial design detail and also let the light shine through it. 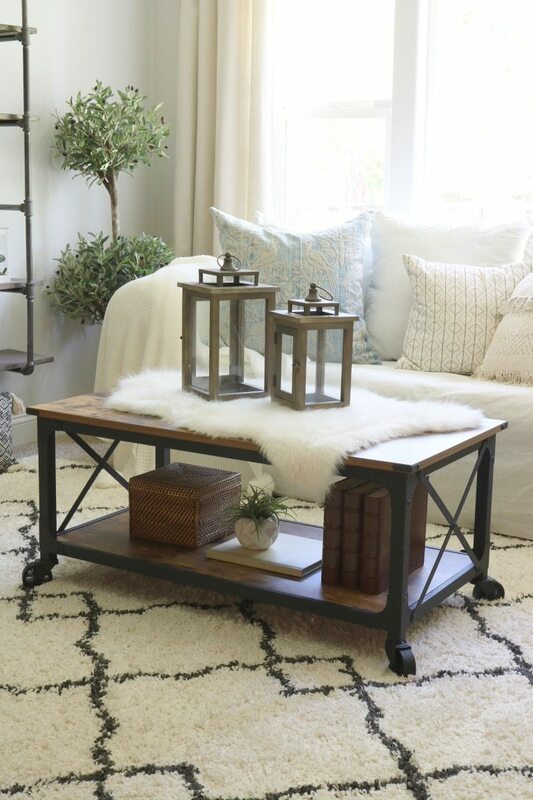 Solution: The Better Homes & Gardens industrial farmhouse coffee table is the perfect answer. 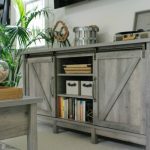 Not only does it fit the style perfectly and give just the right amount of detail with the mix of wood and metal finishes, it also fits the budget! Next I needed details to pull it all together! 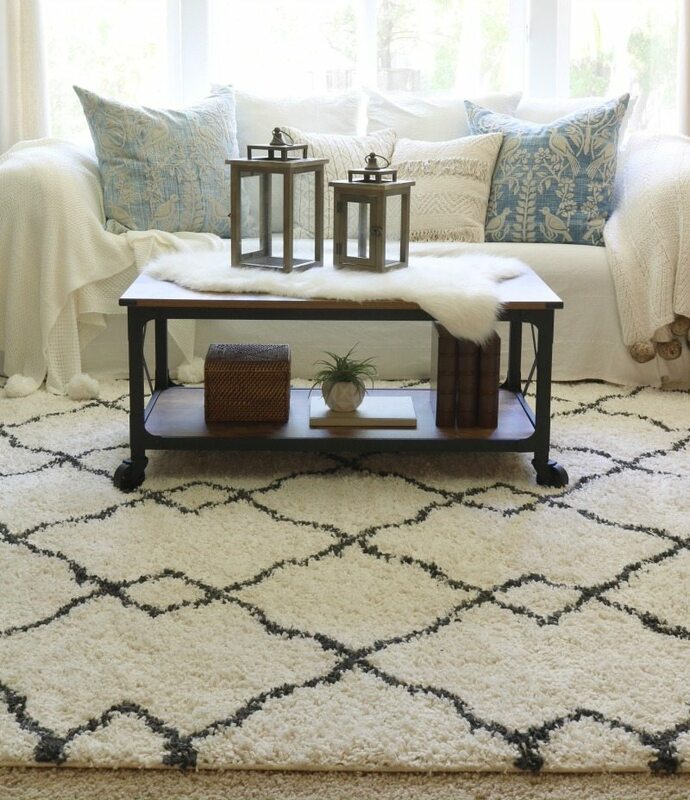 The rug unifies the space and brightens up the dull beige carpet–and you won’t believe the price! 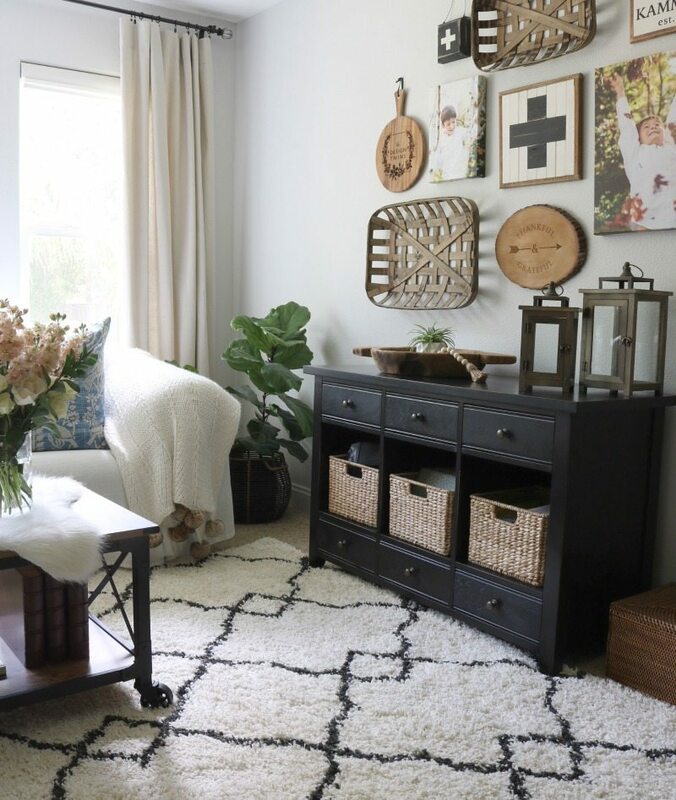 The style of the rug is simple but the pattern is just enough to bring out the black accents from the pipe shelf and the table’s steel frame. The shag adds the perfect amount of texture too! Did someone say texture? 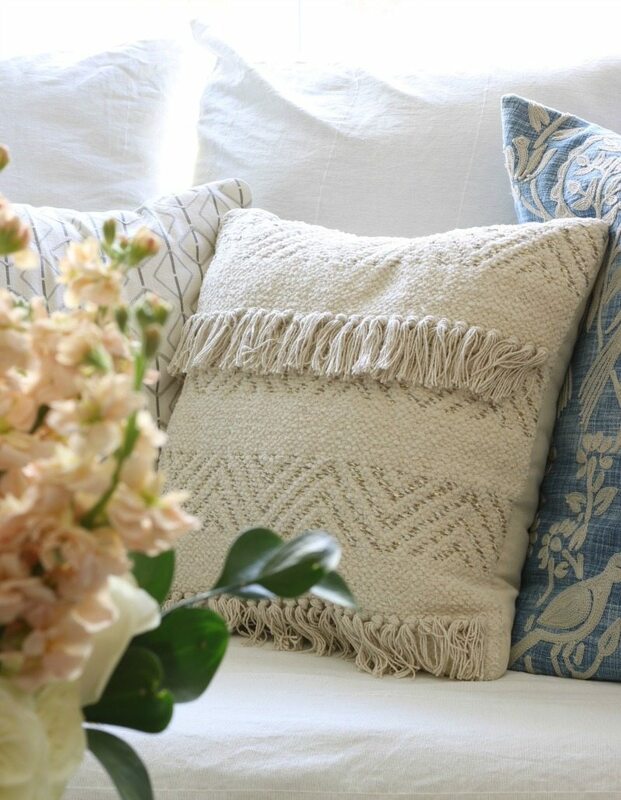 Textured pillows with fringe and tassels are the perfect accent for the space! Some for the couch and some for the floor! I can’t get enough! And at this price, I don’t have to resist! The lanterns are a great match to the industrial farmhouse theme, reflecting the wood from the pipe shelves and carrying the style through the space flawlessly. 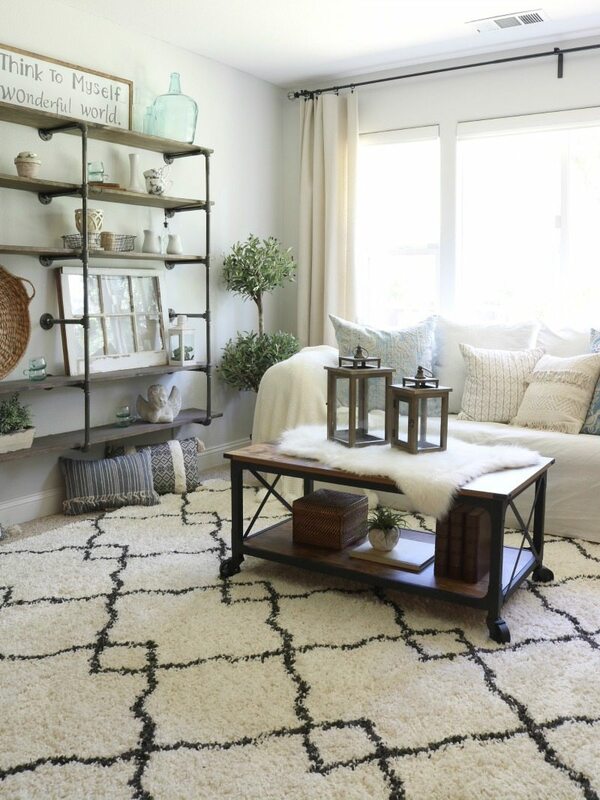 It’s interesting that in this room restyle, there really was no rearranging. I didn’t change the layout at all. I swapped out dated furniture with a couple new items and changed a lot of the finishes. These changes created a whole new mood and tied everything together. For many of the details I shopped my own house! All the updates served to breath light and air into the space. The slipcover totally lightened the focal point of the couch. The new pillows added soft color and delicate detail. The open-framed coffee table created see-through architectural space vs. the heavy, solid ottomon which it replaced. 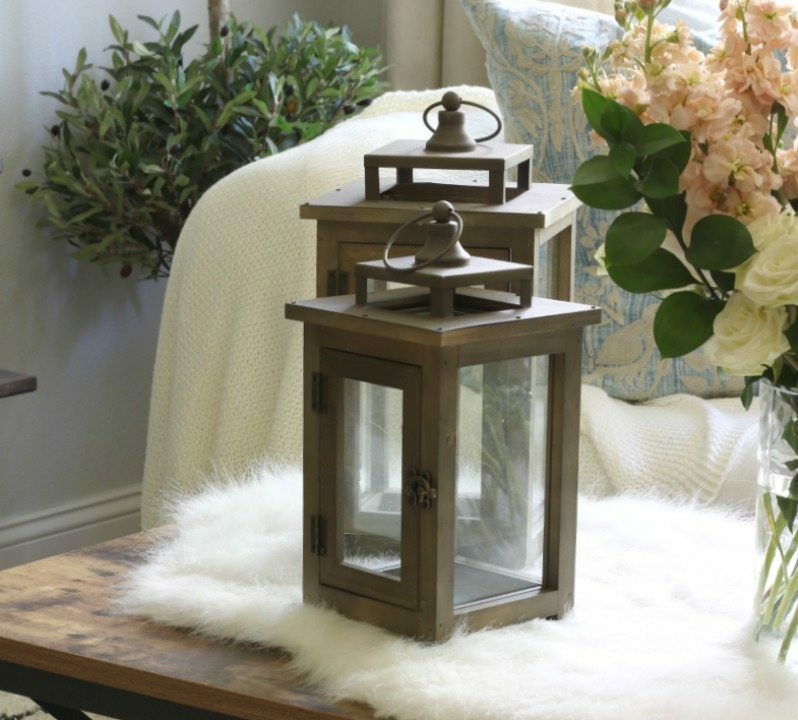 The wood and metal lanterns repeat this open architectural theme. Can you rearrange what you have to make it work better? Can you refinish or repurpose items you already own? Are there items from other rooms that might work better in this space? After you spend the time envisioning and brainstorming it’s tune to actually move things around. Sometimes I am not certain until I actually see the items in the new space, so do the work! Get your husband to help (or your big boys if you have them.) Cook them a nice meal to thank them. Do what you can to see all the possibilities BEFORE spending any money! This rug made all the difference! Shop this exact one HERE. Step 3: Yes, It is Time to Shop! Now that you’ve brainstormed, shopped your house, and made all possible changes without spending a dime it’s time to finish your transformation by finding the elements that you don’t yet own. By now you really should have a handle on what is missing and what you truly need. Shopping with this confidence. you are much more likely to make great, lasting design choices having done your homework in advance. Shop smart! I could have easily spent $500-$800 on a new rug. But shopping at Better Homes & Gardens at Walmart. I was able to find this truly stunning rug for only $150. Transform what you have. Instead of spending $1000-$2000 on a new couch I chose to add a slipcover for only $220. The look of the couch is brand new. 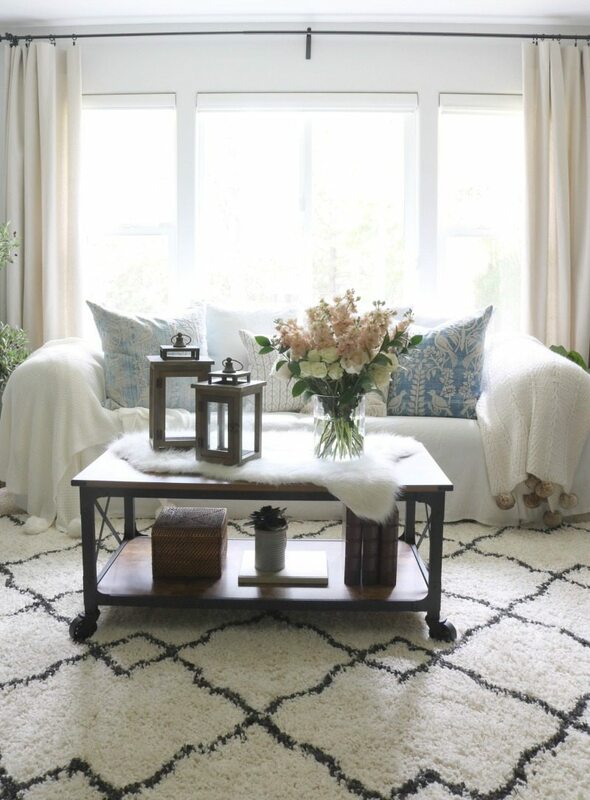 The slipcover is versatile and it can be washed. This is a great feature for those with dogs and kids. It’s a smart way to enjoy white furniture. Look for designer looks at stores that offer value. 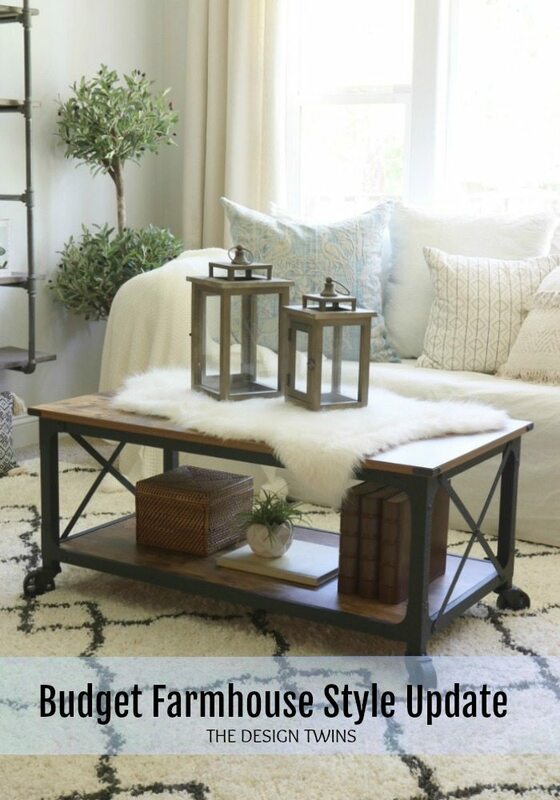 Once again I am thrilled to have found this on-trend farmhouse style coffee table at Better Homes & Gardens at Walmart. It was a fraction of the cost you would expect to pay elsewhere. For more inspirational tips on how to bring happiness into your home, visit the Better Homes and Gardens Website, where they feature home décor influencers that do just this! Want to learn how to create budget farmhouse room transformations in your home? We share our best advice, a step by step plan to follow and fool-proof shopping tips to help you transform your home without wasting time or money. LOVE this post, and this room, ladies! Super helpful hints! Thanks for sharing! Where did you find the faux sheepskin (??) that is on your table? I’ve been looking for one. Jodie I just love how you updated this room. Simple and easy but such an impact!!! Gorgeous girl! I like what you have done! Could you tell me where your faux plants came from?